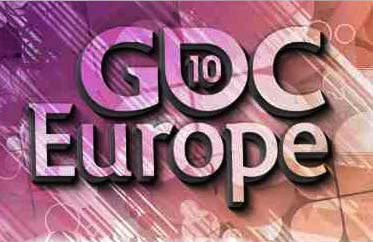 GDC Europe 2010 – Tuesday | Geometry saves the Earth! The first talk on my schedule featured an overview of level design from the level designers of three games: Mirror’s Edge, Alan Wake and Brink. Even though the title suggested it, MMORPG wasn’t the main theme of this sponsored talk by Bitmanagement, it was rather an introduction to their suite of software, to which the BS Contact player (their own 3D browser plugin) is central. Don’t port from J2ME to iOS, in the end, most of the game has to be developed anew. Texture compression can help a lot with keeping the download size small. A nice introduction to Intel Threading Blocks, which add a layer on top of threads, keeping the low-level stuff from the developers and instead making the units of computation one has to think about while developing more aligned with the actual tasks found in the game and allowing the task scheduler to better scale with the number of cores. Side note, they’re pretty unhappy with the PS3 C++-compiler, which seems to be incapable of supporting the template-based system they use. This keynote sounded more like a story being told, which is appropriate since he seemed to read most of it off of something. He basically retold the history of Guerilla games and the Killzone franchise, pointing out for example which steps they took to improve their ratings which increased from an initial 70 metascore to above 90. One thing they did was identify the 5 weakest points from ratings and commit to making these 5 points the best in the next game in the series. The talk was started with a comparison between the approaches of Jane McGonigal and Marian Bantjes concerning design. Later in the talk, he stated several times that, regarding storytelling, he always found that the following statement seems to be always true: Content/gameplay drives (meta)structure drives story. As an example, taking an educational game, one should not start with the story, but instead start with the learning content and create a game and story around it. He likened this to MDA (Mechanics, Dynamics, Aesthetics, see this paper). He touched on one of the major problems of most MMOs: Trying to follow the Hero’s Journey found in single-player games, the games set out to allow an epic journey through the world, but are unable to offer any lasting change, as can be commonly witnessed by things like quest mobs being killed every 5 minutes or the head of WoW’s Onyxia being hanged in Stormwind every couple of hours. The line of thought in the presentation was that PVP is one remedy, but, backed up by findings of the daedalus project, many people do not enjoy PVP. One potential way out of this problem is having conflicts between factions which is carried out using PVE: Think of an army of NPCs which attacks castles/towns/… on its own, and which can be strengthened by PVE quests. It’s not the pinnacle of storytelling and will probably lead to endless conflicts which repeat all the time as was pointed out in the Q&A session, but the idea is still good food for thought.